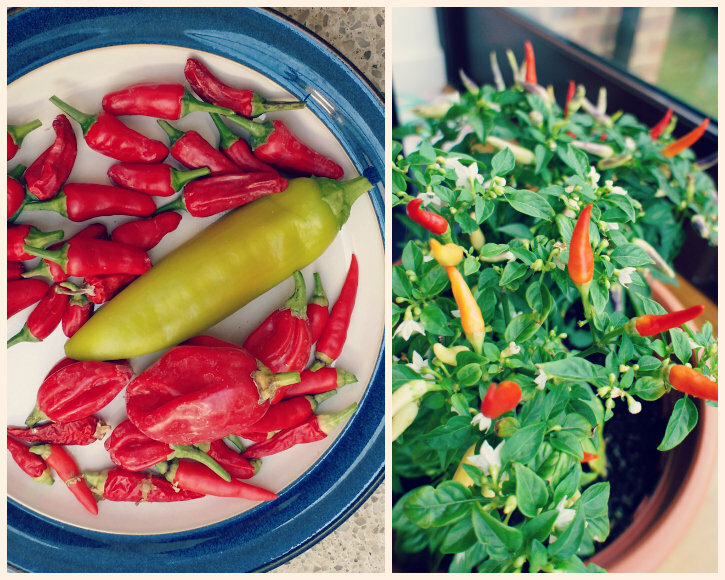 Five chilli peppers to grow and eat... | Grow Your Own Veg Blog. Gardening and Food Blog. This time of year, there is no shortage of homegrown chillies, and this year, my chilli line-up includes Apache, Cheyenne, Hungarian Hot Wax, Basket of Fire and Scotch Bonnet. All our chilli plants are grown under glass (either indoors or in a greenhouse which we borrowed for the summer). When the plants started to flower, an organic tomato fertiliser was applied once a fortnight. 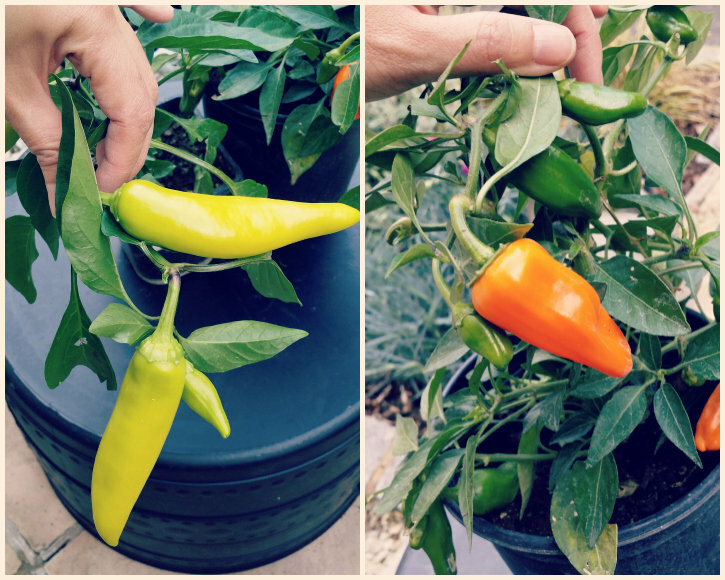 Feeding the plants really made a difference to the size of the chilli pods (they were much larger compared to previous years when we didn't feed them). 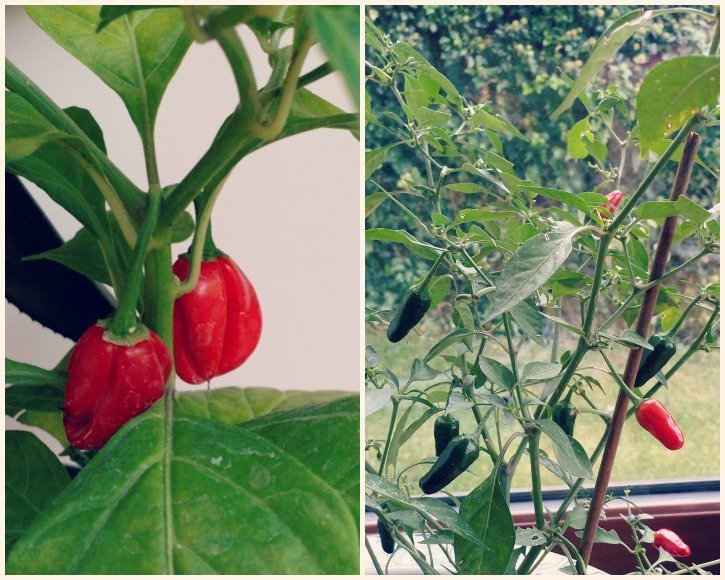 The Hungarian Hot wax (HHW) chillies are a larger, longer chilli pod that grow up to 15cm. This is a moderately hot chilli which can be picked at the yellow stage, although they do ripen to red. As with all chillies, they get hotter as they mature, but picked at the yellow stage, the HHW is a great chilli to blend with the hotter chillies (like Apache) if making a raw chilli paste, as it brings the heat down to just the right level! Although I grew it in a small container (due to greenhouse size restrictions), I was very impressed with the number of large chilli pods it produced. The pods do not carry large amounts of seeds, and so, would also be great sliced and pickled in vinegar. The Cheyenne chillies start off green and turn bright orange upon maturity, at which stage they are really quite hot. Even when grown in a small container, each plant can produce a mass of these medium sized golden pods making it an attractive plant to grow. I usually add chopped Cheyenne chillies into foods that are cooked like stews or curries. This Apache F1 chilli plant was bought as a small plant, and grown in a container in a greenhouse. I grow Apache every year, and they are incredible productive producing lots of fiery pods over the summer. Grown under glass, they turn red in no time. As soon as you harvest the pods, a whole new lot appear. When you split the pods open, they are jam packed with seeds. These are my favourite chillies to use in Thai or Vietnamese salad dressings. A friend of mine, Rob, gave me two of his Scotch bonnet chilli plants this year. It's the first time I've tried them - they have a very distinct flavour; a kind of sweet aroma overlayed with an extreme tongue/gum/mouth burning hot sensation (whoooh, are they hot!). Using a mortar and pestle, I pound these up with sea salt, then add the raw paste into pasta sauces, stews. The flavour really is quite unusual. The "Basket of Fire" chilli plant is quite a compact plant with a semi-trailing habit. Our plant was sown from seed early last year and kept indoors. It never died over the winter, and is now into it's second summer, still producing lots of colourful chillies ranging from yellow, purple to orange and of course, red. Highly prolific, the small chilli pods stand upright on this plant; I've read that wild chillies point upwards to act as beacons for birds that help to disperse their seeds. Hungarian Hot Wax chillies were ordered online as young plants from Victoriana Nursery. Basket of Fire chilli seeds were purchased from Unwins. Apache F1 were purchased from our local Notcutts garden centre.